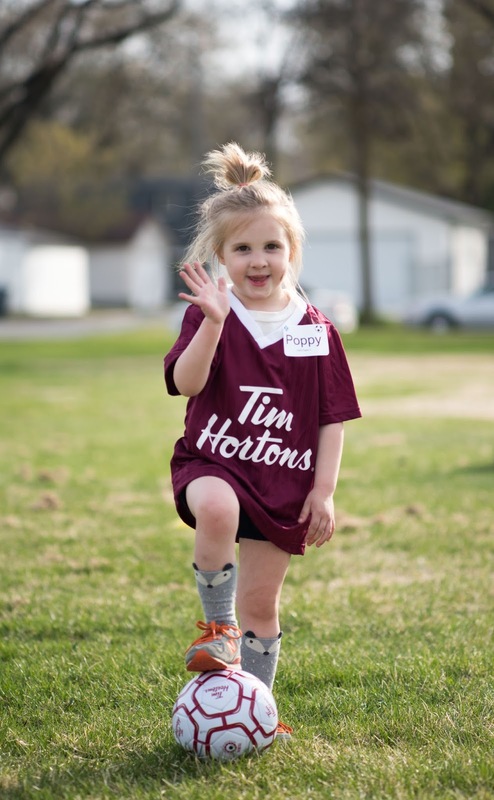 If you have a child in Canada, your family likely takes part in TimBits soccer. Apparently there are over 230,000 children that play each year, and it's easy to see why. 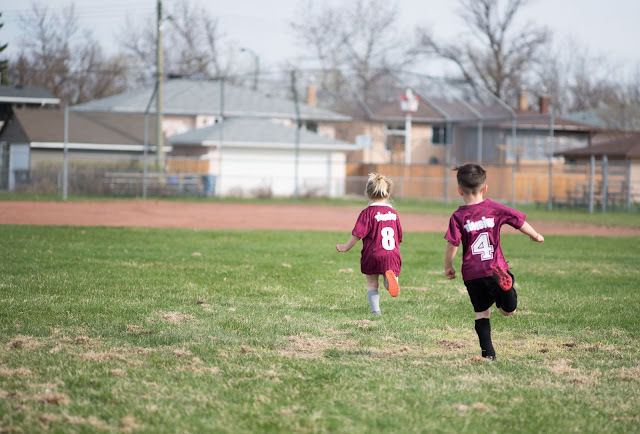 Soccer is fun, active, and relatively inexpensive to play. 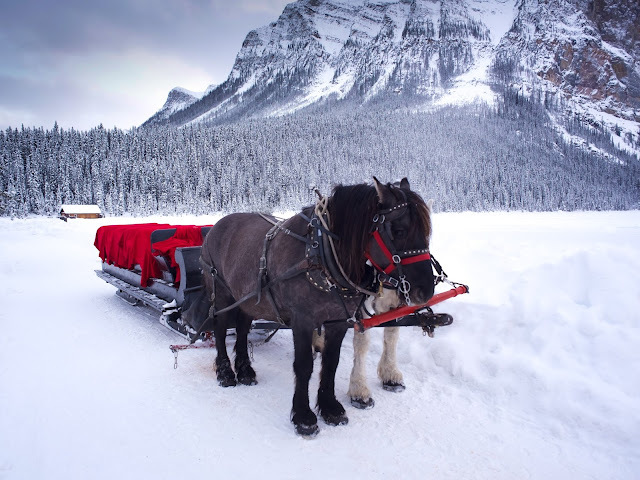 We love how it brings all the neighbours together in our area... people we haven't seen all winter we now see almost every night! MEAL PLAN - I can't stress this enough... between arriving home at 4:30/5, and having to leave the house around 5:30/5:45, there is practically no time for dinner. On sundays I like to prep some staples to get us through the week, which include granola, egg salad, muffins, a big quinoa salad of some sort, and lots of fruits and veggies chopped and ready to eat or add to recipes. Last week's menu included pulled pork sandwiches, chicken caesar salad, hot dogs, and scrambled eggs with toast. Simple, easy meals that give the kids energy to run around and don't take long to prepare. 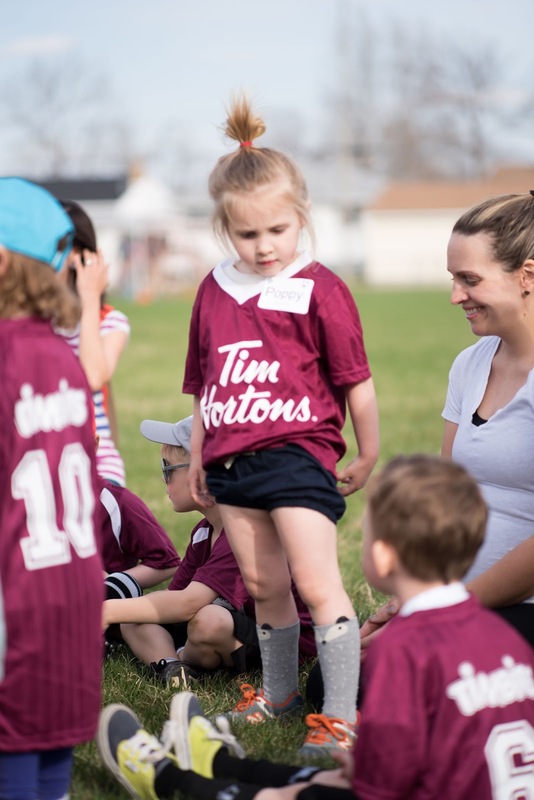 soccer snacks - In previous years my husband has complained about the kids getting sugary snacks right before bedtime... and right after they exercised. I'll admit, some of the snacks are pretty awful - mini bags of oreos, the dreaded fishy crackers, ice cream sandwiches, juice boxes, etc. This year, some parents brought up the idea of 'returning to the orange slice days' and have suggested only healthy, low sugar snacks. It's my turn to bring Soren's snack on Wednesday, and I plan on making fruit kabobs. coach! - At our community club, you have four options when you sign your child up for a sport. 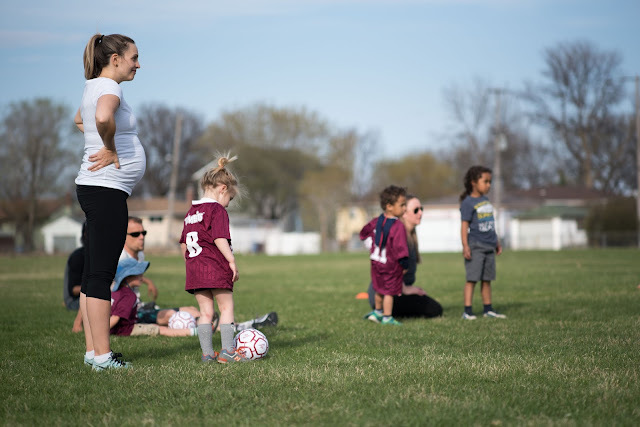 Coach, Assistant Coach, Team Manager, or Club Events. In the past I have signed up for club events, which means you can find me selling 50/50 tickets at tournaments or helping out at the spring fair. This year I signed up as an assistant coach - figuring that as I have to be at all the games anyways, I may as well help coach. 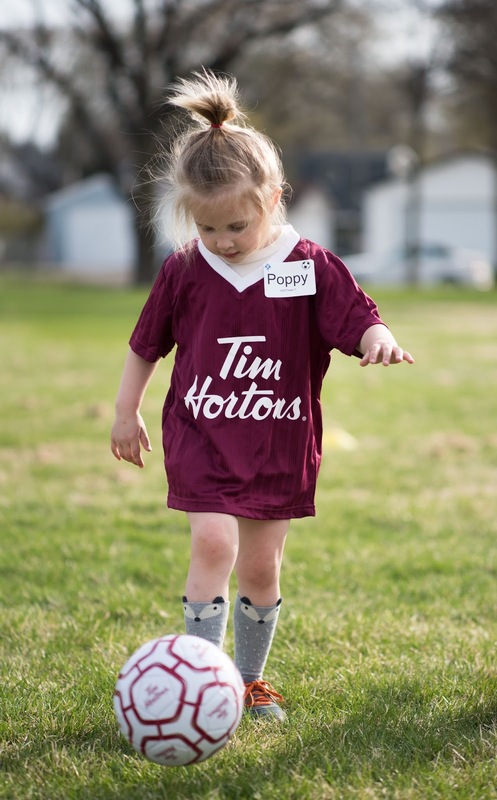 I'm one of the assistant coaches on Poppy's team, which she seems very happy about so far. prepare - As this is not our first season, we now know to come to games with lawn-chairs, picnic blankets, bug spray, etc. Most fields have playgrounds for the non-playing child to play in, but in previous years I had to bring something to entertain the baby. It's a great idea to bring extras for other siblings too... many times Poppy has helped herself to another kids snack or toys, so I'm happy to share with others. The little kids so look cute in their little uniforms, don't you think? I can't imagine how people manage three schedules... which will probably be us in a few years! The name Fifi is a girl's name of Spanish, French origin meaning "Jehovah increases". ... Fifi in its fluffiness also balances the seriousness of such full names as Josephine or Federica soccer.